We focus on providing the highest standard of care and provide a money back guarantee if you don't qualify for your card. "I went in today to re-certify my MMUR Card. These are absolutely the nicest and most helpful people I've had the pleasure of doing business with in many years. No problems, no issues all went as smooth as could be! Dr. Smith is awesome, as well as his staff. They all bring a smile to your face no matter what kind of mood your in or how your feeling. I picked the right place to go and highly recommend them to anyone seeking help!" "Dr. Dan Smith made a complex procedure simple, they took care of the paperwork physical and numerous fine details. Their professionalism and kindness, Was greatly appreciated. Less than 20 working days after my initial visit and I have my temporary marijuana card. I went to my dispensary and received my medicine yesterday. What a way to start the new year!" "Professional, compassionate and willing to go the extra mile to get a person settled and on their way to relief. Dr. Smith and Macy are assets to the Port Charlotte area. Extremely reasonable when it comes to cost. This is the real deal unlike these other clinics that need to extract money from you every 3 months and you see no results and have no support. Thanks again!" 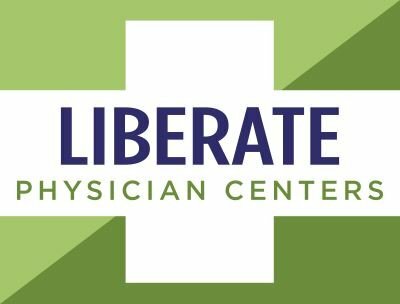 "Just wanted to share with anyone interested in obtaining their Medical Marijuana card, that my experience with LiberateSWFL was excellent. Macy exceeded my expectations , from the initial consultation, procuring my out of state medical records (which was no easy task) and basically all interactions I’ve had with her. Dr. Smith was a pleasure to meet with for the medical consultation, he answered all my questions and never did I feel rushed, as is the case with most doctors these days."